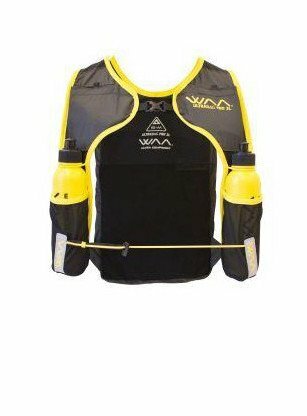 WAA Ultra Equipment distributed in the US by Rocky Mountain Ultra is a French company whose products were originally conceived to help runners through the 6 day Marathon des Sables across the Sahara in high heat, over sand dunes while carrying all food and sleeping equipment, water thankfully provided. 4 totally bounce free pockets: 2 in the front which can hold an iPhone 7 and up to 4 gels, 2 in the back each which can hold a 750ml water bottle, soft flasks or clothing. I extensively tested the Ultra Carrier in high heat and humidity this summer and recently on a wet, cool, breezy day. In all conditions the shirt was incredibly comfortable. 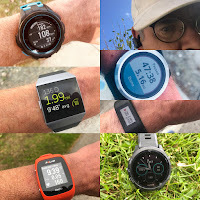 As readers of Road Trail Run know I often write about the latest in cooling fabrics and the Ultra Carrier's combination of sun protection and cooling effect is right up there if not the best I have tried to date. In very bright mid day sun I noticed no heating of the skin through the fabric, no surprise as with 100% SPF essentially you are wearing the highest level of sun protection. The IceFeel and snug fit made things cool if a bit damp. 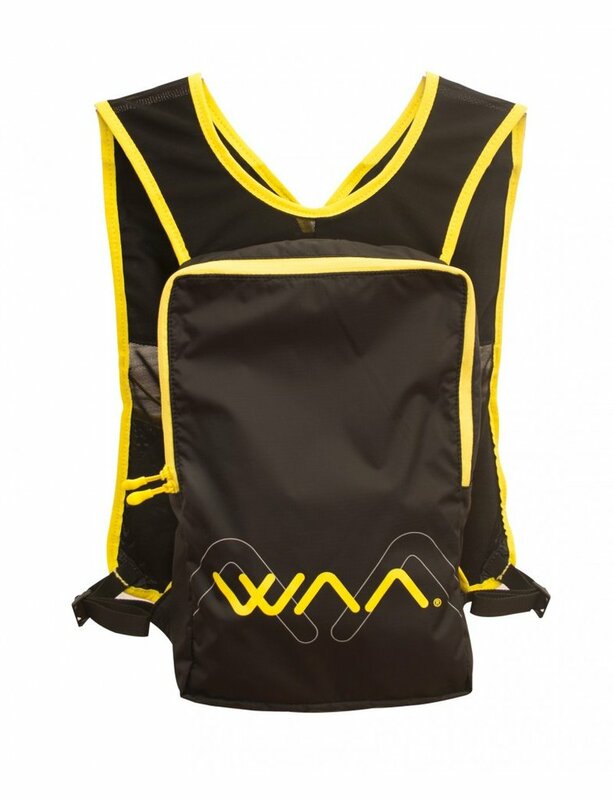 WAA Ultra Carrier Shirt: Jacket and Water Bottle on Board. There is no bounce of any cargo due to snug elastic fit with gripper tape at the bottom of the mid section of the shirt. Soft flasks work better than bike bottles. Even unzipped close to the navel there is no bounce as the shoulders and waist are very snug but never uncomfortable as belt packs can be. Sizing is very tight. I easily went from my usual medium to a large. The front horizontal pockets are just big enough for the iPhone 6S in a moderately protective case. For 2017 WAA will make these pockets vertical and a bit larger. The 2 rear mesh pockets are easy to access but the reflective tabs over the 2 velcro fasteners on each pocket could be a bit bigger and more substantial for easier opening and closing. WAA is also working on that for 2017. The Ultra Carrier is designed to be paired with the simple and reasonably price $75 (now $60 at Rocky Mountain Ultra) UltraBag Pro 3. Nothing fancy just some carrying capacity for extra layers and a couple more bottles. In 2017 it will be made a bit more rigid substantial. I have been a big fan of the Salomon Sense Set minimal race vest (review here). For most runs up to 3 hours the Ultra Carrier replaces it for me. For longer runs with greater water requirements I will pair the Ultra Carrier to my Nike Trail Kiger Vest (review here). Not just for trail runners, WAA told me that in recent months after appearing at road race, tri, and cycle events sales to these sports have sky rocketed. 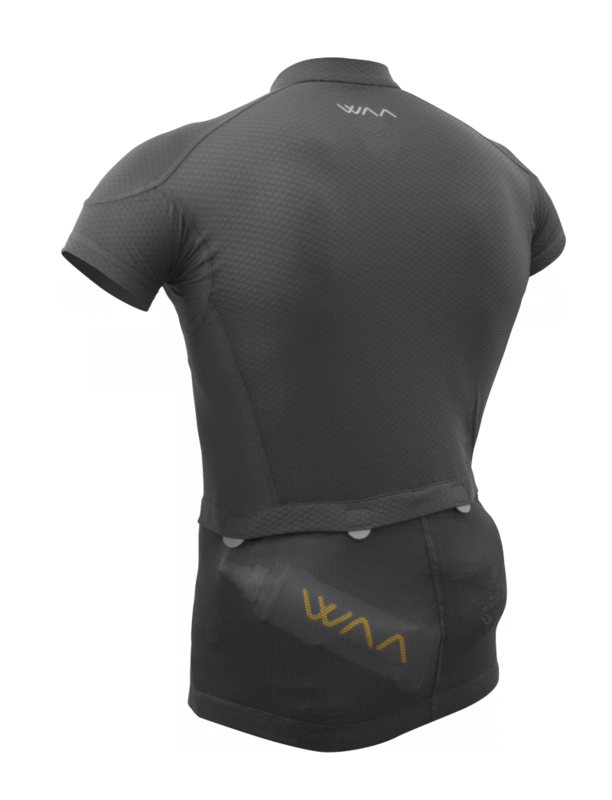 There is no question the WAA Ultra Carrier would be an outstanding cycle and Tri jersey. The temperature comfort range is broad and the sun protection outstanding. You do have to like the snug look bike shirt look and fit. There is a long sleeve version and sleeveless and women's styles are imminent. The WAA Ultra Carrier Shirt was provided at no charge to RoadTrailRun. The opinions herein are entirely the author's. Click Here for RTR' 2017 Run Shoe Previews: New Balance, Brooks, Saucony, Salomon, Altra, adidas Outdoor, Hoka and More! 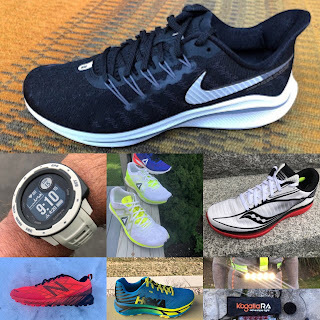 Over 50 in depth Road and Trail Shoes reviews so far in 2016!